Okay - before I tell you the winner of my giveaway, I will let you know a couple of things. Right now, the emails are way behind - sorry about that. I don't think I will be getting back to everyone, so I am going to try and answer a few questions that keep coming up. I hope it will help with a lot of the emails I feel bad about not getting right back with an answer. Right now - working on a book. 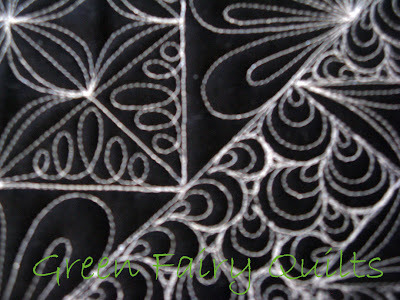 Picture above is the smallest of glimpses of what I think is the most amazing quilt I have done so far! 3 down 4 to go and less than six weeks. 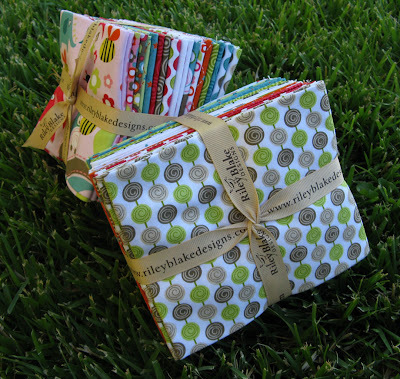 Am I taking new quilts for customers? Not now - I am booked out for a year, I will let you all know when I can add to my schedule. 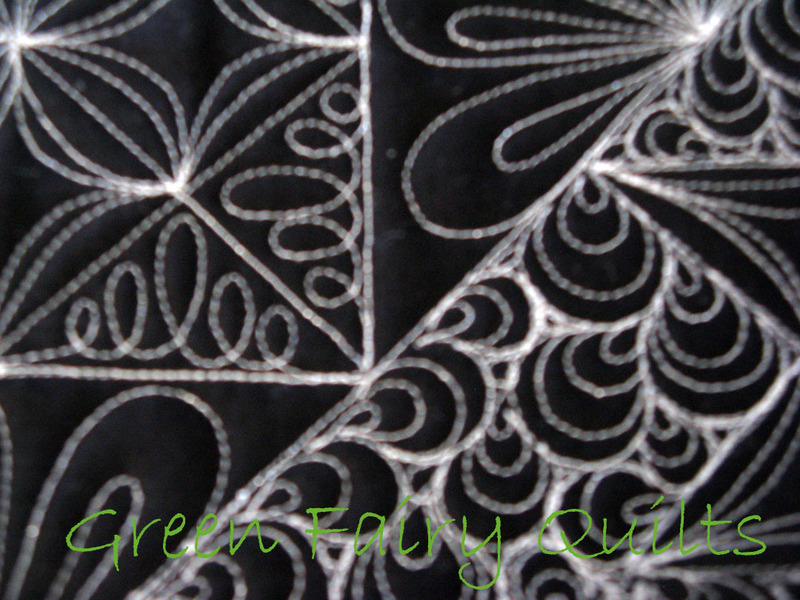 Oh - and thank you so much to my current customers who are patiently waiting to have their quilts finished. I promise it will be worth the wait - as soon as I can just get that August deadline out of the way. What batting do I use? Mostly Hobbs 80/20, if I want to have two layers with extra loft for pebbling in my quilts, I add in some wool batting with the Hobbs 80/20. What thread do I use? Superior Threads - So Fine, Highlights and Metallics - that's pretty much it. Do you use the pre-wound bobbins - no, don't like them. What machine do I use and is it computerized? A-1 Long Arm, no it's not - all free motion baby! Okay - if I have missed any questions I am sorry. Okay - other things - these cute Alphabet Soup FQB's just came in and I want to dive right in and make something with them. Since I can't right now, you can by going here and here and buying them and making something pretty out of them, I will be so jealous! But, get them out of here so I don't have to cry anymore that I don't have time to make something with them! 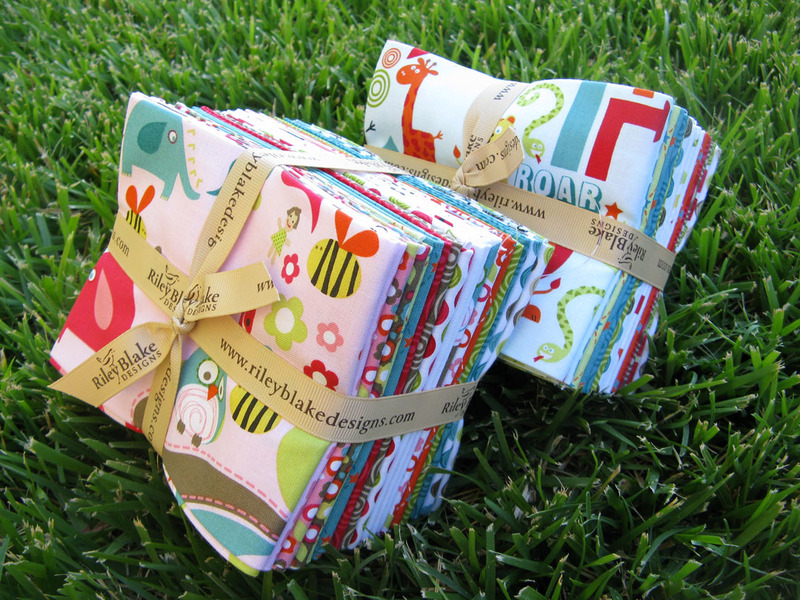 We also have this line in 10 inch squares, 5 inch squares and 2 1/2 inch rolls, you can see all the Riley Blake Design precuts here. Oh - how I want these! Anyway!~ On to the winner! Kasey has won! YAY!!! She said: That Ruby layer cake is too pretty... hmm, October is just before November, which means that would be a great gift my husband could "surprise" me with! Just email me Kasey at judi(at)greenfairyquilts(dot)com and Clint will send out the Holly Jolly FQB to you!